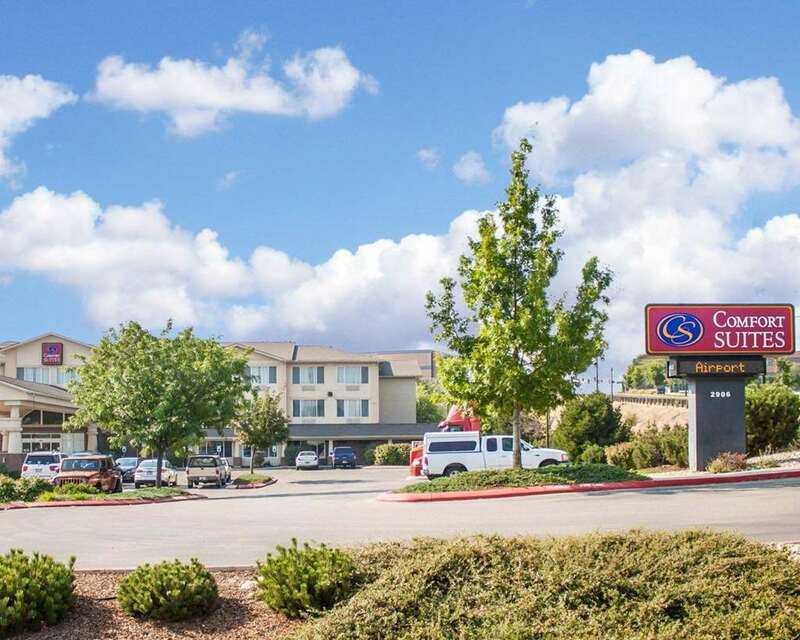 The smoke-free Comfort Suites Airport hotel in Boise, ID near Roaring Spring Water Park offers guests the extra space you need with the extras you want. We are also near sites and activities like the Boise Airport, Boise State University, Boise Towne Square, Albertsons/Bronco Stadium and Expo Idaho. Enjoy our meeting space that can accommodate up to 80 event attendees, free hot breakfast, free WiFi, free airport transportation and a free weekday newspaper. Your spacious suite offers 25 percent more space than the traditional room, with amenities like a microwave, refrigerator, hair dryer, TV and recharge device. Also, earn rewards including free nights and gift cards with our Choice Privileges Rewards program.